Bringing a four-month GPU launch drought to an end is NVIDIA’s mid-range GTX 900 series model: The GeForce GTX 960. At first glance, it looks modest – perhaps even underwhelming – but, looks can be deceiving. The GTX 960 is a card that follows in the footsteps of the GTX 460, 660, and of course, the 760. It targets those gamers who want an affordable card that’s going to offer great performance in current games, and is guaranteed to last them a couple of generations. NVIDIA prides itself on this particular part of its product lineup. There is a little surprise with the GTX 960, though. Whereas the GTX 760 was priced at $249, and the GTX 660 at $229, the 960 is priced at an attractive $199. As the card competes with AMD’s Radeon R9 285, which has cards hovering closer to the ~$230s price point, that price tag becomes even more notable. That might all sound attractive, but the GTX 960 does have one stand-out spec that’s sure to cause some concern: Its 128-bit memory bus. That’s unusual for a model at this point point, but lest we forget that both the GTX 980 and 970 had an atypical bus for high-end cards (256-bit), yet both still soared to the top of GPU performance charts. Still, there’s just something about that number that makes a card feel low-end. I get that, and it’d be absurd to insinuate that a 256-bit bus on this card wouldn’t improve its performance – to which degree, I’m not quite sure. The fact that NVIDIA could put a 128-bit bus on a card of this price range does highlight one thing, though: Maxwell helps prove that smaller buses don’t have to be a huge limitation. Based on 3DMark’s Fire Strike test, the GTX 960 is about 25% faster than the GTX 760. That’s despite the GTX 760 having a bus twice as wide. That comparison isn’t too apples-to-apples beyond that, though, as the 760 has 12.5% more cores, whereas the GTX 960 has a higher clock speed. That tease aside, let’s take a brief look at the hardware we’re dealing with. As the block diagram below highlights, the GTX 960 is composed of two clusters that include four SMM modules each – for a total of 1,024 cores. Other specs include a 2GB framebuffer, 1,126MHz reference clock speed, and also a 7GHz memory speed. Because of the memory optimizations that come with Maxwell, NVIDIA says that this 7GHz is actually equivelent to 9.3GHz. Based on specs alone, the GTX 960 is one-half of a GTX 980. Cores are halved, as is the memory and memory bus. Core and memory clocks are left in tact, whereas the TDP drops 45W to settle in at 120W. That might not seem too significant, but consider the fact that the 960’s predecessor, the GTX 760, had a TDP of 170W. NVIDIA admits that even at $199, this positioning in the market can sometimes make for a hard sell. 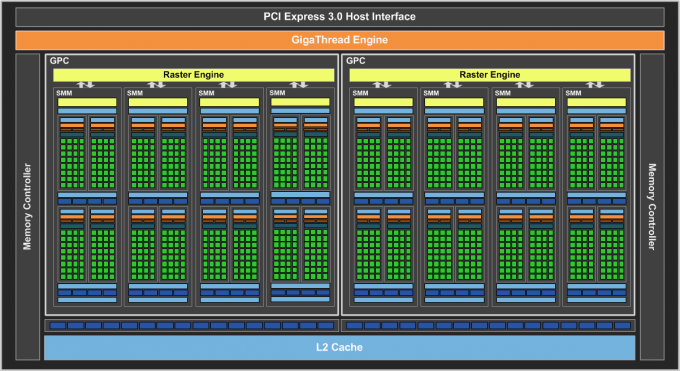 But, unlike its competitor, it’s offering a more modern architecture (where are those 300 series cards, AMD??? ), which includes such features as MFAA, VXGI, much-improved power consumption, as well as support for HDMI 2.0 and H.265. For a run-down of those features and more, head right here. Because the GTX 960 has low power requirements, certain gaming scenarios might allow a given card to turn its fan off. An example would be with MOBA games, especially League of Legends. While a game like that features a ton of eye candy, it simply doesn’t need to take full advantage of a GPU like this all the time. So in a situation like that, the card can turn the fan off and drop its power requirement to as low as 30W. If this feature sounds familiar, it might be because the ASUS GTX 970 Strix I took at look at in September offered the same exact perk. Speaking of Strix, the GTX 960 model I received happens to be part of the same series. Outside of some obvious size differences, this card looks little different than the 970 model I looked at in September. It features a DirectCU II cooler (which is special because the heatpipes connect directly to the copper base) and aesthetics that I’m sure will suit most gamers. As with all Strix models, this GTX 960 model includes a factory overclock – and it’s not that subtle. ASUS boosted the GTX 960’s reference clock speed from 1,126MHz to 1,291MHz, and interestingly enough, has given a 200MHz boost to the memory, as well. Ideally, we’d always receive a reference clocked card for launch, but considering the fact that most GPUs to hit market after launch are pre-overclocked, it almost seems more accurate to receive a pre-overclocked model at this point. Still, that hurts our desire to provide apples-to-apples comparisons, but if there’s one upside, even if you do purchase a reference-clocked model, there’s a good chance that these same clocks can be reached manually. That sure is a good-looking card, isn’t it? 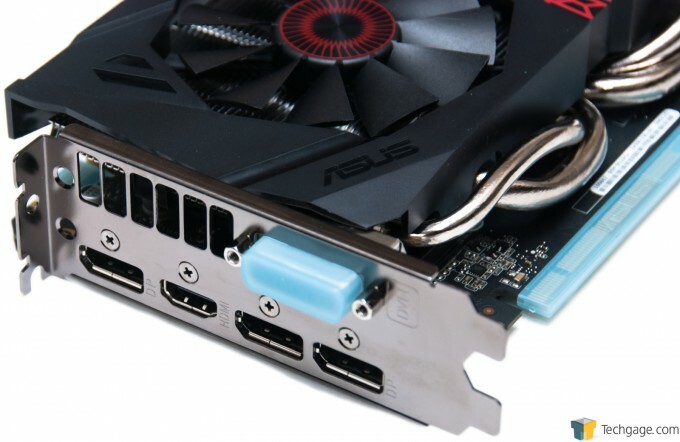 As the picture above shows, GTX 960 cards will require only one 6-pin PCIe connector. It seems fairly unlikely that a second one would help in overclocking, but we might very well see some high-end models (like EVGA’s Superclocked and FTW series) include two. 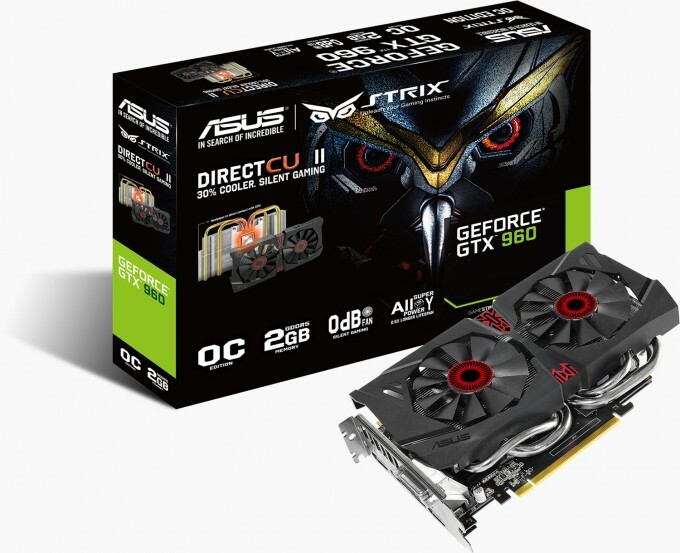 Most GTX 960 models available at launch are going to feature the same video output configuration as this Strix card. That involves triple DisplayPort, one DVI, and one HDMI. 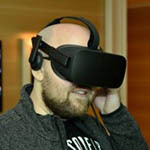 Some models, especially reference-clocked, will forego a DisplayPort connector or two in lieu of including two DVI ports. Like the GTX 970 Strix I looked at before, this one promises 0dB gaming with select games and graphics configurations (tying into what I talked about above with MOBAs). As we’ll see later, this card has a rough time breaking 60°C even when stressed hard, so for low-requirement games, 0dB shouldn’t be too hard to acquire. And, if you don’t mind your card getting a little hotter in the quest for silence, you can manually set a fan speed inside of ASUS’ GPU Tweak tool. ASUS’ GTX 960 Strix also features a 5-phase “alloy” power design that includes super alloy MOSFETs and chokes, as well as SAP caps. ASUS implements these high-quality components to not only help improve overclocking, but also improve the card’s durability, which hopefully means it’ll have a long, healthy life. Before moving on, I have to give ASUS kudos for a simple, but neat, feature of this Strix card. Situated at the PCIe power port is an LED, and when the power cable isn’t plugged in, it’s lit up red. With the cable plugged in, it’s white. See? Simple. But, it was this feature that clued me in; I was about to put the door back on our test PC’s chassis until this red LED caught my eye. Alright, now we can move on. The following page lists everything you need to know about how we conduct our benchmarking, including the specs of our test PC. If you don’t care about any of that, head on over to page 3.